The biblical rains have ceased for the time being but have left their mark upon my basement. In the three and a half years we have lived in this house, the basement has never even gotten damp. Is this a side effect of putting a for sale sign in the yard? Related perhaps to the ant invasion in the master bathroom a week earlier? Signs? Tests? A bit of both I think. Since last fall m emotions have ridden fairly close to the edge. As I told a coworker , I can still hit fast balls…..out of the park even, but curve balls are not my forte anymore. I don’t lament that fact. There was a time, a long time, when I was the go-to of nearly everyone I know. I haven’t the strength or frankly the interest in solving other people’s problems. My own life is challenging enough. When I made the decision to let go of my problem-solver/rock status, the ripple effect, apart from confused family and friends, was that I would break down a bit more easily in the face of my own problems. I am not the type to cry in front of people. I don’t like people to know how I am feeling, but suddenly the smallest thing, if it was unexpected, could reduce me to a puddle. For I while, I didn’t care. It was cathartic. Now though it is past time to rein it in a bit and re-establish my personal load limit. response insinuating that perhaps I was overreacting, I realized that I needed some perspective. The ant invasion was the first test of this new resolve to take life’s spontaneous eruptions in stride. I met it. Barely. 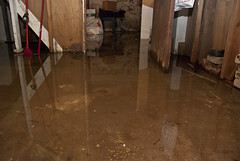 The flooded basement arrived simultaneously with a realtor and a perspective buyer and not a clue of how to find a plumber when every plumber in the area was wading around in someone else’s basement. I hired the first one who called back and promised to come out before the day was over. The basement was a test and a sign. God doesn’t not send gentle signs when you are procrastinating. He sends signs that are unmistakably tinted with annoyance or exasperation depending on the length of time you have been ignoring things. The sump pump failure did not approach Jonah and the whale status but it was a definite “Try to ignore this, kid” tone. I took the hint. I am moving to be with Rob in 8 weeks and honestly haven’t really started packing and accomplished the most minimal sorting and tossing. The main reason is that I am tired of moving a light speed and even more tired of doing all the work required to maintain that level of velocity. But I get it. Nothing is going to get done unless I am doing it, for the most part on my own though Rob has arranged his schedule to be here again in May for a week to help. I give a lot of advice these days but sometimes don’t pay as much attention to my own life and how what I am saying relates to me. I sent a PM recently to a widow who wanted to know if two years out was too soon to consider dating. I replied to her by saying that there are no chances in life, only opportunities and we choose to make something of them or we don’t. I have been fortunate and Rob came into my life. We have the opportunity to move forward together and share life, but it’s not a freebie. There is work involved and for me right now some of that work is cleaning and sorting and packing. Got all this from a flooded basement. Just as good as tea leaves.